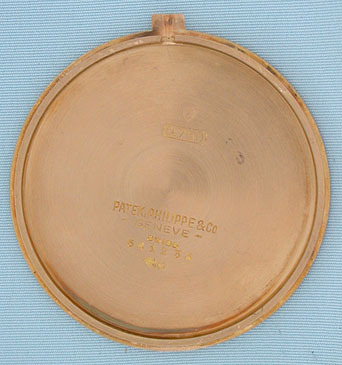 Fine slim Patek Philippe 18K red gold Art Deco slim pocket watch circa 1940. 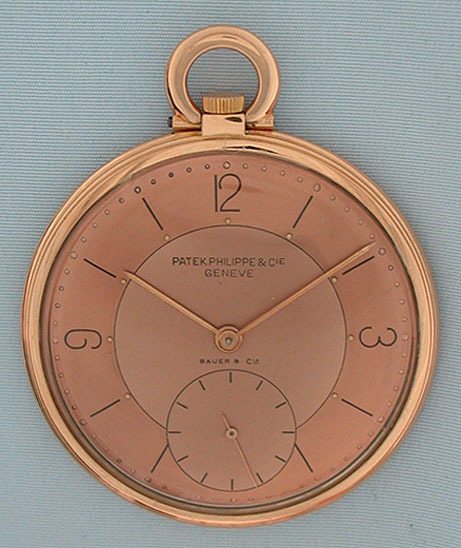 Original pink dial with elegant numerals and pink gold hands. Slim case with polished bezels and brushed back. 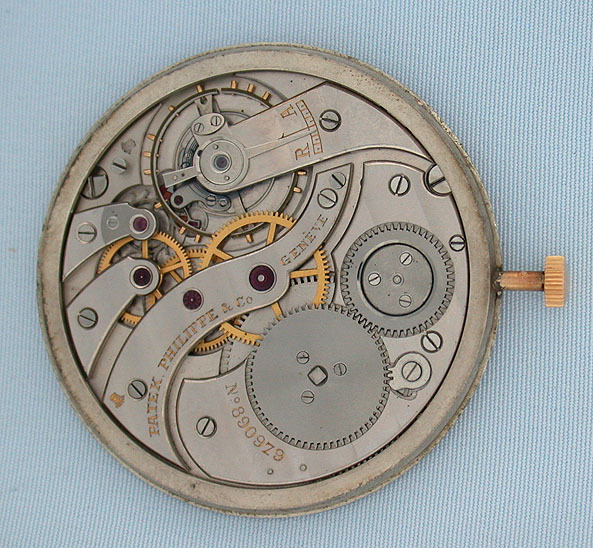 Nickel 18 jewel movement with two Geneva seals. 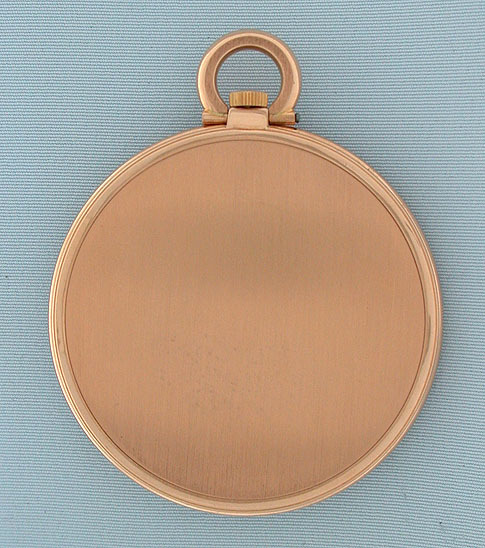 An elegant dress watch by the best maker in particularly fine condition throughout.